How do I complain to Sky? Sky UK is a provider of TV, broadband, landline and mobile phone services. It is the largest broadcaster of pay-TV in the UK, with more than 10 million TV subscribers. If you are one of them, then you might subscribe to one, several, or even all of their services for your home. Sky services sometimes don’t work as they should, which can be frustrating for customers. If this happens to you, then you might be wondering “how do I complain to Sky?”, which is why this guide is here to help you. Read the information below to find out how to complain. Reasons to complain about Sky TV include signal problems with live TV, Sky Store or Sky Box Office purchases, and recording programmes or accessing On Demand content. You might have problems with watching Sky in different rooms or using Sky 3D. There could be an issue with the equipment, whether it is the Sky box or remote control, or your viewing card. You may have a problem with your Sky PIN. To complain about any of this, you should call Sky on 0844 826 8666. Say “problem with Sky TV” or wait and press 3 to get this option. Problems with broadband connection and broadband speed are the bane of our modern existence. 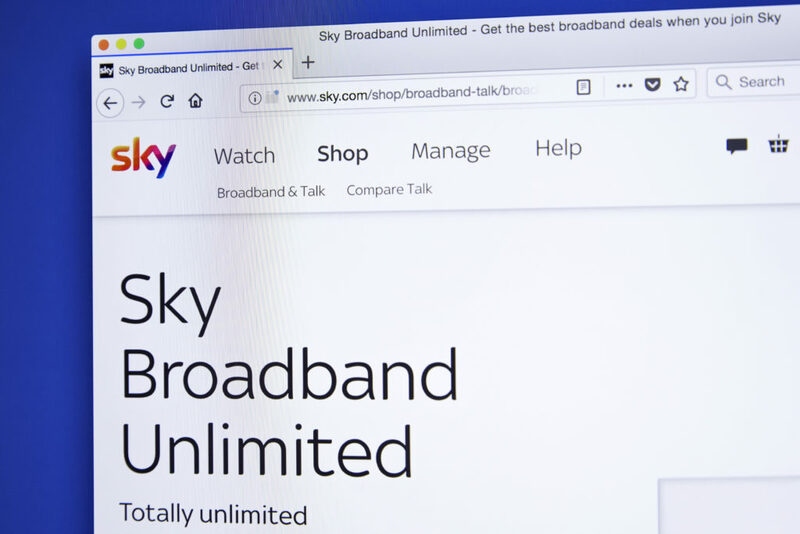 Sky customers whose broadband is not working the way it should be are within their rights to complain if Sky is not providing the level of service that the customer is still paying for. Complain about issues with the equipment such as your Sky Hub or Wireless Booster. You should complain if you can’t connect other devices to your Sky wifi or if you have security concerns. Call 0844 826 8666; say “problem with Sky broadband” or press 4. To have Sky Broadband you must usually also have Sky Talk, because both will require the installation of a phone line. There might be problems with your home phone indicated by the type of dial tone. You may have an issue with nuisance calls or activating features like Sky Talk Shield, voicemail, or caller ID. Or your reason for complaining might be to do with using Sky Talk, such as accessibility. You can complain about problems during the Sky Talk switching process or claiming rewards. Call 0844 826 8666 and press 4 for home phones. You might also rely on Sky as your mobile phone provider. You can contact Sky to complain if you have trouble with unlocking a phone, activating a SIM, or transferring your old phone number. The complaint could be about your calls and texts or data usage and allowances. You may want to complain about issues with using your Sky mobile abroad. If you recently ordered a phone from Sky, then you could have a complaint about the delivery or returns, refunds, or repairs. Call 0844 826 8666 and then say “problem with Sky Mobile” or press 7. There are lots of Sky apps than you can utilize across services and devices. This includes Sky+ and SkyQ, Sky VR, Sky Go, Sky Kids, and My Sky. You can also use other apps on your Sky TV box, such as Netflix or YouTube. You might be having constant issues with setting up an app or managing devices. If you have a complaint about any Sky app, then call 0844 826 8666 to raise this with Sky so they can hopefully resolve it for you. Say “problem with the Sky Kids app” or the specific name of the app that you want to complain about to proceed. You can manage your Sky account through the interactive section on your television, online through the website, or through the mobile app if you have it. This, of course, will depend on which Sky services you have. 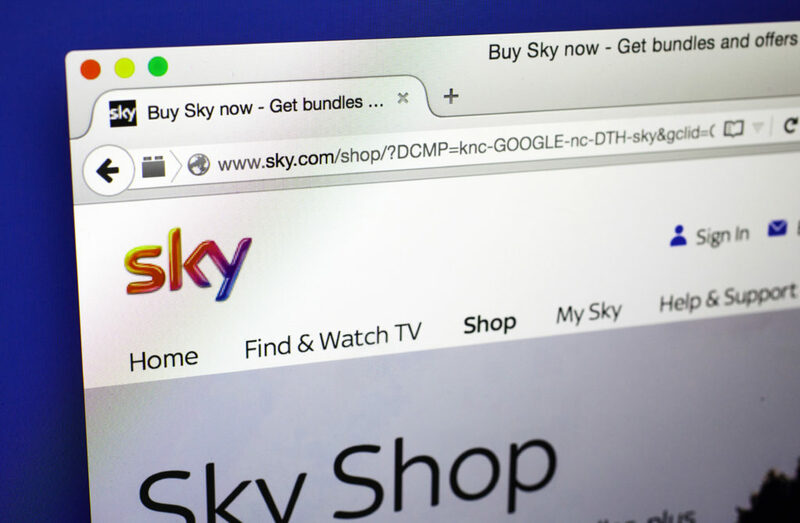 You might have a complaint concerning amendments to your Sky package and any incorrect charges, including cancellation fees. You may have a problem with your Sky iD or with your bills and payments for them. To complain about your Sky account and anything to do with your contracts or bills, just call Sky on 0844 826 8666. Sky Yahoo Mail is a more niche feature of having a sky.com account. If you have problems with setting up or using Sky Yahoo Mail, then you should contact Sky for troubleshooting assistance. If you have consistent issues which Sky does not fix, then you should complain about this. Make complaints about Sky Yahoo Mail by contacting Sky via live chat. Sky will have to assist you in fixing the problem and address any inconvenience it has caused you. This could be due to an inability to access the service or issues with the account security.